Designed to take samples from soft tissue, biopsy instrument stands out among present devices with its distinctive features. Mechanism is being run in a cartridge placed inside, instead of being built on inner parts of the outer caps. 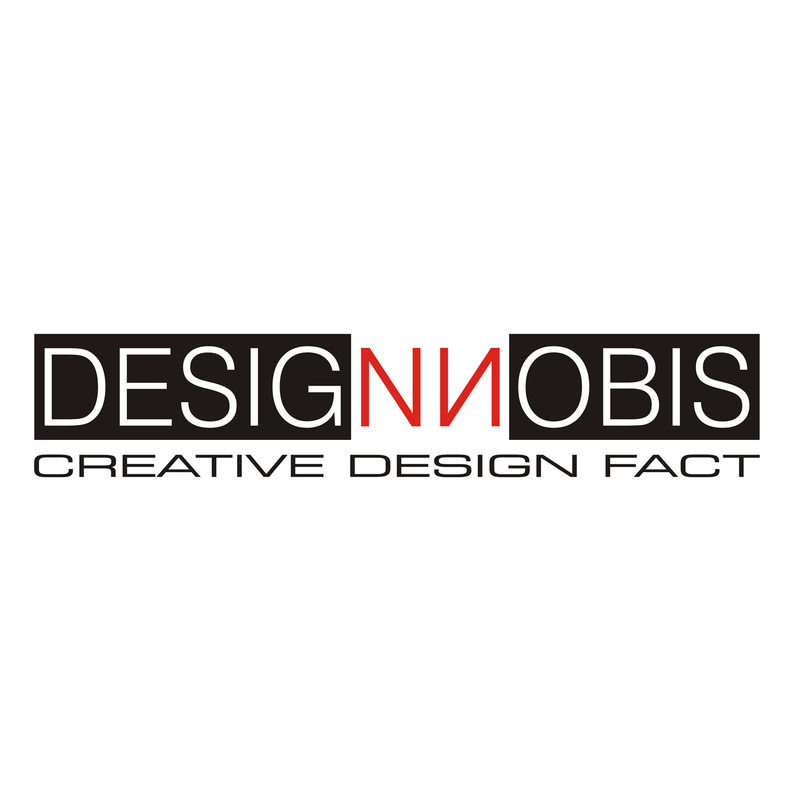 Therefore, product allows redesign of shells or use of mechanism under different brands. Offering procedural flexibility, handheld device stands out with its ergonomic, lightweight and safe design. 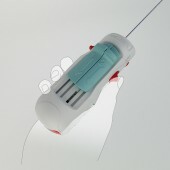 One handed easy usage and control is achieved while dual triggers reduces necessary force to mount the device. 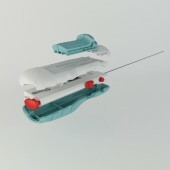 Usage of biopsy device is as follows: Needle is placed in the target tissue area. Then first trigger is pulled to arm the device, which draws back the tip of needle to bring the opening. When the second trigger is pulled, device is ready for firing. There are two firing button choices for easy use in different positions. Instrument is fired to get sample and firing is possible by using one hand. Offering two different sample size options, disposable biopsy design allows samples to be taken either as 10 mm or 20 mm notches. 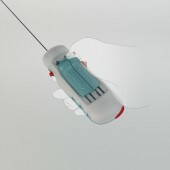 Inner mechanism is color coded for easy identification and inserting different sized needles into device. 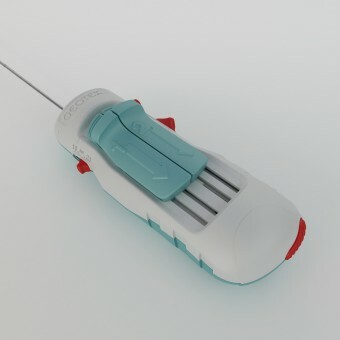 Biyopsi Biopsy Device by Hakan Gürsu is a Nominee in Scientific Instruments, Medical Devices and Research Equipment Design Category. Biyopsi Biopsy Device by Hakan Gürsu is Winner in Scientific Instruments, Medical Devices and Research Equipment Design Category, 2011 - 2012. 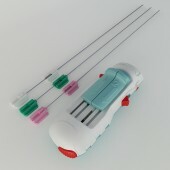 Did you like Biyopsi Biopsy Device? Help us create a global awareness for good medical product design worldwide. Show your support for Hakan Gürsu, the creator of great medical product design by gifting them a nomination ticket so that we could promote more of their great medical product designs.